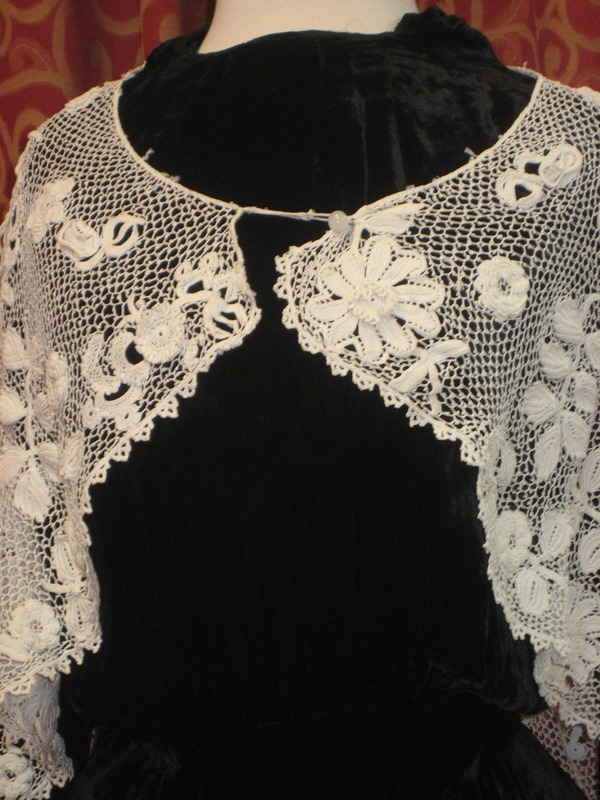 1900, 34" across shoulders, white hand made Irish lace capelet. 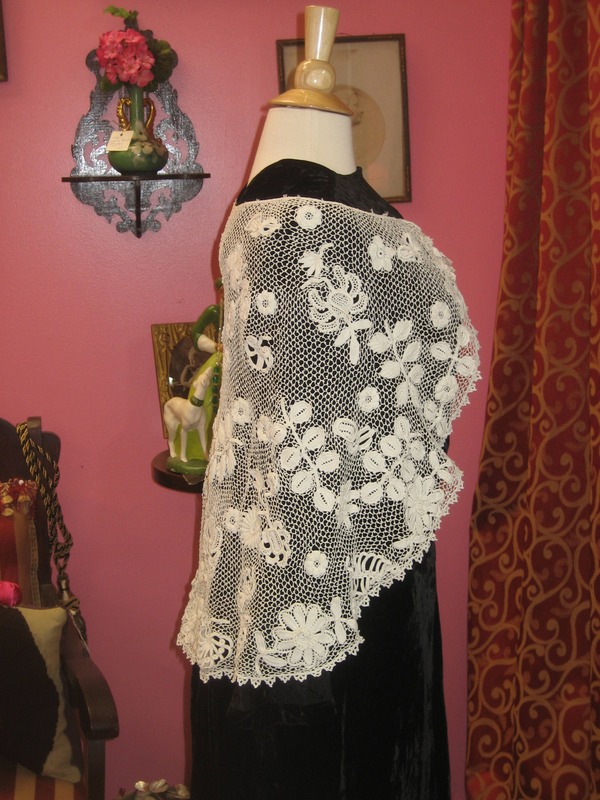 The capelet reaches to waist in back, and across shoulders and arms in front. 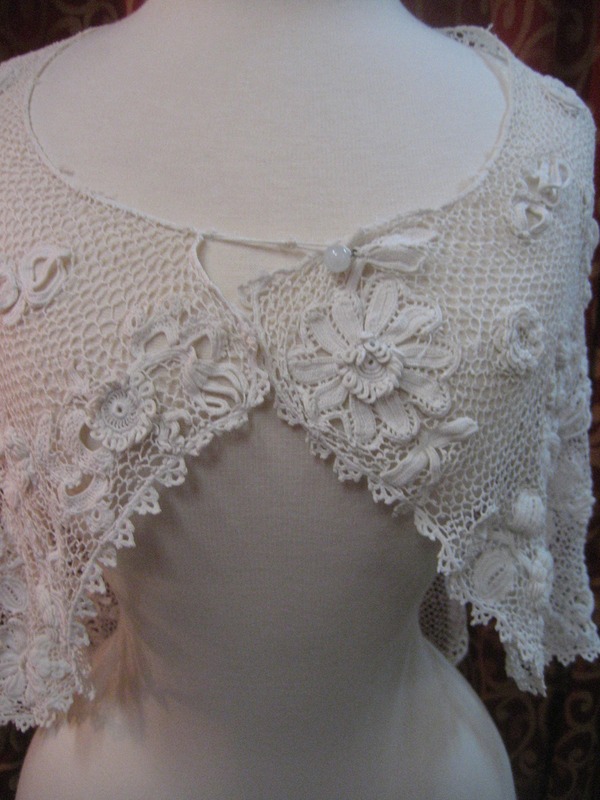 The capelet is fastened in front at neckline with crochet loop and round glass button. 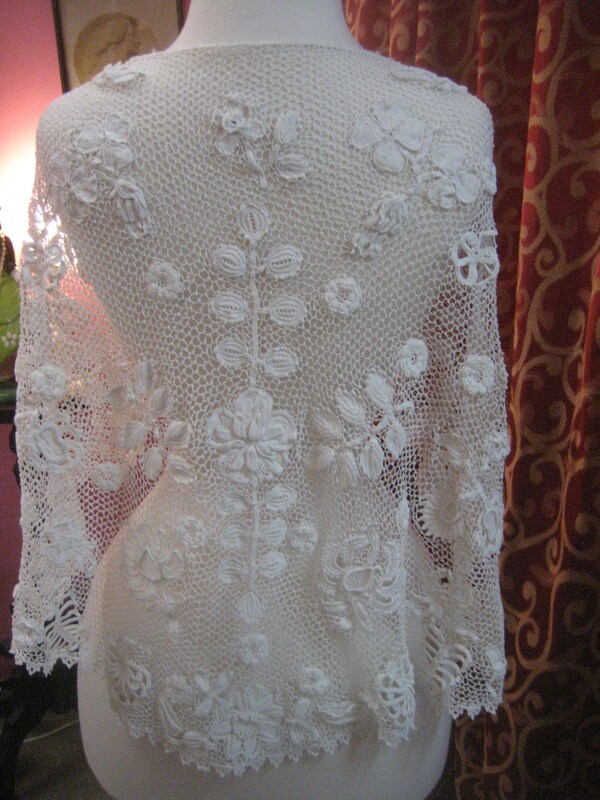 The lovely design of lace is a continuum of raised flowers and leaves. 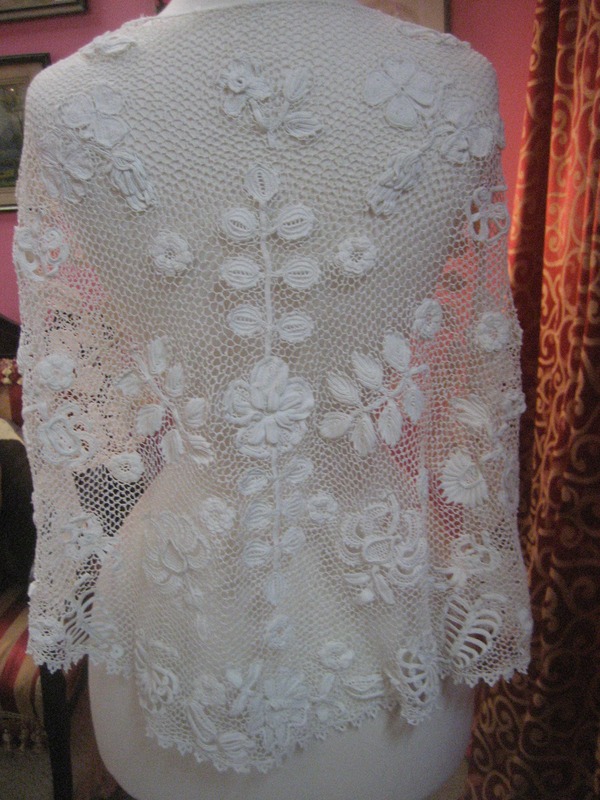 shoulder to hem front 12"